Art De Vivre Collection is part of the commercial arm of the Art De Vivre Group. Art De Vivre Collection is the leading platform of accessible art brands in Hong Kong and China offering original artworks across all mediums. The group is led by Arthur De Villepin, the son of former French Prime Minister, Dominique De Villepin. Fine art collector himself, Arthur aims to drive his passion and knowledge of art to new audiences by democratising and making art accessible to all through new and engaging encounters. The soul of Art De Vivre Collection stems from a deep understanding and love of art, to which Arthur embodies in his belief that “art is for everyone”. Instrumental in cultivating and promoting French cultural influences into the asian market, Art De Vivre Collection gathers for the first time the leading brands of each art form to advocate and propagate art in everyday life: Yellowkorner for fine art photography, Meural for Digital Art and now Carré d’Artistes for painting and sculpture. Art De Vivre Collection now represents more than 850 international emerging and established artists and 140 galleries worldwide. SHARING WITH GREATER CHINA OUR ENDURING PASSION FOR BEAUTIFUL, INSPIRING, ARTISTIC BRANDS. ART IS NOT A QUESTION OF CLASS. EVERYONE SHOULD GET ACCESS TO IT TO QUESTION ITS JUDGMENT, CHANGE ITS PERSPECTIVE. PIONEER ON OUR SECTOR, WE BOUILD ON OUR PARTNERS RELATION TO BECOME THE AMBASSADOR OF LIFESTYLE BRANDS IN ASIA. ART IS NOT FOR ENTERTAINMENT, IT IS ESSENTIAL TO LIFE. ARTHUR IS AN ENTREPRENEUR, AS WELL AS AN AVID COLLECTOR OF FINE WINES AND ART. SON OF FORMER FRENCH P.M. DOMINIQUE DE VILLEPIN AND THE CELEBRATED SCULPTOR MARIE LAURE VIEBEL, ARTHUR WAS BORN IN THE UNITED STATES AND SPENT HIS CHILDHOOD IN INDIA WHERE HIS FATHER WAS POSTED. REPATRIATING TO FRANCE AT THE AGE OF SEVEN, ARTHUR COMPLETED SECONDARY EDUCATION IN HIS NATIVE COUNTRY AND GRADUATED WITH A DEGREE IN INTERNATIONAL RELATIONS IN THE UNITED KINGDOM. ARTHUR HAS BEEN SOAKING UP ART ALL THROUGH HIS LIFE AND IS THRIVING TO CHANGE THE WORLD OF WINE, ART AND ENTREPRENEURSHIP. AS THE FOUNDER AND CEO OF ART DE VIVRE GROUP, HE IS A STAUNCH BELIEVER IN THE ART OF LIVING WITH A UNIQUE PERSPECTIVE, THROUGH HIS WORK HE SETS OUT ON A JOURNEY TO ADVOCATE AND PROPAGATE ART IN EVERYDAY LIFE. HIS WORK WITHIN THE GROUP INCLUDES HIS ROLE AS CO-FOUNDER AND CEO OF WINE LABEL PONT DES ARTS, AND THE VISIONARY BEHIND ART DE VIVRE COLLECTION – A COLLECTION OF CAREFULLY CURATED ART BRANDS, OF WHICH THE RENOWNED PHOTOGRAPHY GALLERY YELLOWKORNER AND THE NEW CARRÉ D’ARTISTES IS PART OF. 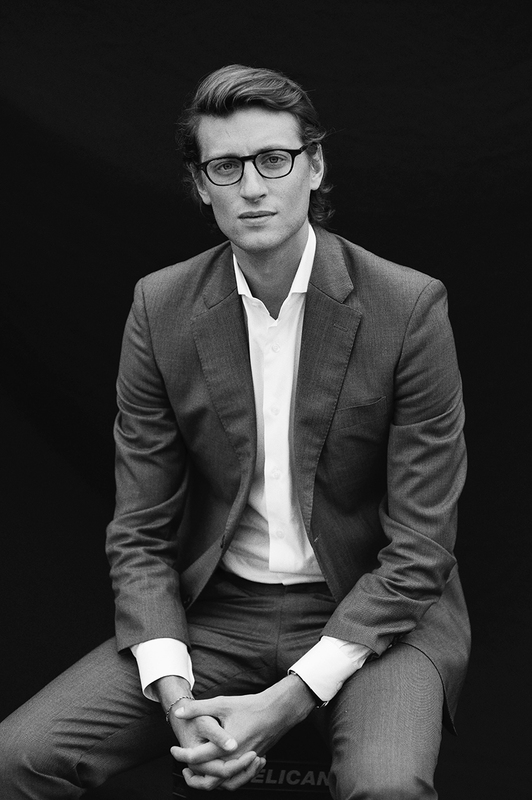 ARTHUR ALSO DECIDED TO JOIN FORCES WITH HIS FATHER AND CREATED VILLEPIN INTERNATIONAL, A GLOBAL CONSULTING AGENCY BASED IN PARIS AND HONG KONG. IN PARALLEL, HE ALSO UNDERSTOOD THE NECESSITY OF DIVERSIFYING HIS ACTIVITIES TO OTHER INDUSTRIES AND SECTORS AND BUILT A STRONG INVESTMENT PORTFOLIO, SEEKING COMPANIES WITH SUBSTANTIAL COMPETITIVENESS BASED ON MANAGEMENT AND COMPETITIVE STRENGTH. THESE ENTERPRISES ARE UNITED BY A COMMON PASSION FOR LIFE AND ARTISTIC ADVENTURES WITH ALL OF THEM FEEDING INTO EACH OTHER OFFERING A DIVERSIFIED PORTFOLIO.